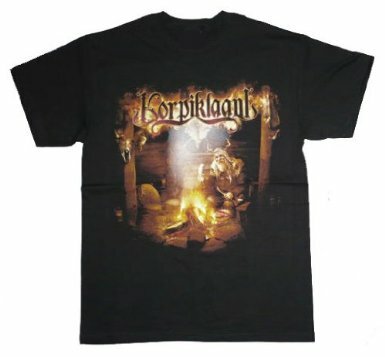 Korpiklaani is a Finnish name for ‘Wilderness Clan’. The folk metal band hails from Lahti, Finland. Originally the band started with folk music before spreading their wings towards metal. They initially called themselves as Shaman. As Shaman, the band came up with two studio full length albums titled ‘Idja’ released in the year 1999 and ‘Shamaniac’ which came in the year 2002. The band has released around seven studio albums as Korpiklaani. They have released six singles over the years. 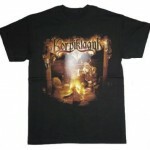 Their debut album as Korpiklaani happened in the year 2003 which was titled ‘Spirit of the Forest’. Their second album titled ‘Voice Wilderness’ was released in the year 2005. The band earned many fans in the folk metal music genre. The band has so far worked under Nuclear Blast and Napalm record labels. Korpiklaani has seen various changes in their line up throughout their career. Their latest work ‘Kunia’ is set to release in 2012.